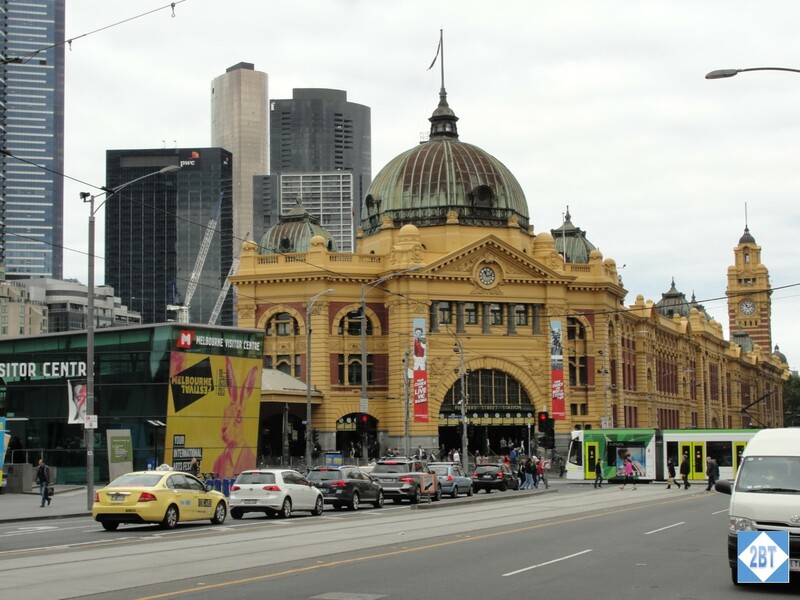 We weren’t really sure what to expect from Melbourne as its sites are not as famous as, say, Sydney’s Opera House or Harbour Bridge. We did learn there’s a hop-on/hop-off bus and a free trolley system so we grabbed tourist maps from the front desk and walked to the closest stop. The bus stop was diagonally opposite the Victoria Train Station, which I thought was just a beautiful building. Not wanting to miss our bus we didn’t go inside to explore but I sorta wish we had.